Cairngorm and Glenmore are together an iconic destination at the heart of the Cairngorms National Park. 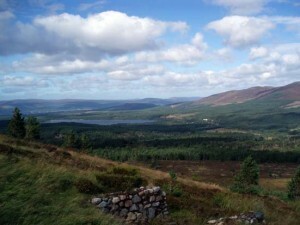 Together with neighbouring Rothiemurchus, this area attracts 40% of all visitors to the National Park. Owned on behalf of the people of Scotland, the Cairngorm Estate is managed by Highlands and Islands Enterprise and the National Forest Estate. In 2014, these public bodies, along with the Cairngorms National Park Authority, formed a partnership to collaborate on the long-term management of this important area of land. The Partnership consulted on a long term strategy for these two land holdings which ran until 8 March 2016. Through this consultation, we listened to people’s views and aspirations for this area, what should change, what should stay the same, and how we make the most of Cairngorm and Glenmore for neighbouring communities, visitors, the National Park and Scotland as a whole.